Christopher Bradley was an IILJ Scholar from 2004-2009. He received his J.D. and his LL.M. from NYU Law and is currently an Assistant Professor of Law at University of Kentucky College of Law. His research and teaching interests include commercial, business, and bankruptcy law. Both in his research and his teaching, Professor Bradley adheres to a legal realist emphasis on “law in action” rather than “law in the books.” To that end, his research relies on empirical, historical, and theoretical approaches—all focused on how law impacts the realities of social, commercial, business, political, and cultural life. Prior to entering academia, Professor Bradley clerked for Judge Higginbotham of the U.S. Court of Appeals for the Fifth Circuit. He then spent several years practicing with the international law firm of Weil, Gotshal and Manges. At Weil, he was recognized for pro bono service, which included the successful representation of an asylum petitioner from El Salvador and of a victim of domestic violence seeking a visa under the Victims of Trafficking and Violence Protection Act. Professor Bradley left Weil to clerk for Judge Davis of the U.S. Bankruptcy Court for the Western District of Texas. In this capacity he gained exposure to the wide range of matters brought before bankruptcy courts, from individual debtors trying to rebuild their credit to business entities and corporate groups pursuing reorganization. Professor Bradley then practiced at the specialty bankruptcy and litigation firm of Hohmann Taube & Summers and with the Finance and Restructuring Group of the national firm of Waller Lansden Dortch & Davis. 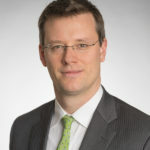 Professor Bradley’s practice included service to creditors, to debtors in bankruptcy, as well as to bankruptcy trustees and state court receivers. In addition to taking and defending depositions, drafting briefs and other court papers, participating in alternative dispute resolutions, and arguing to courts, he negotiated and drafted a range of business transaction documents. While at these firms, Professor Bradley also participated in several pro bono matters and served the bar in various roles, including as chair of the Young Lawyers Committee of the Bankruptcy Section of the State Bar of Texas. What is International Trade Law for? The new Guarini Institute for Global Legal Studies, founded in 2018, extends and raises to a new level the international law programs and initiatives at NYU Law that have long made the Law School a leader in global legal innovation.